Will The Lack of Elk Grove Hotel Rooms Be a Weak Link in Attracting Soccer Tournaments? As Elk Grove continues its pursuit of becoming a world-class soccer tournament destination, there is a weak link in its strategy. That weak link is hotel rooms. As previously reported, the nearby Placer Valley Tourism (PVT) authority is moving forward with its $35 million 10-to-12 soccer field facility in Roseville that is scheduled to open in 2018. When opened, the facility is expected to generate an annual economic impact of $6 to $8 million. A large part of that economic impact will be generated by an additional 25,000 hotel night stays in the Roseville-Rocklin area. According to the PVT, Lincoln-Rocklin-Roseville area already hosts 60,000 annual visitors for soccer and other athletic activities at existing facilities. According to the PVT, currently there are 23 hotels and 2,410 room available in Rocklin and Roseville. There are no new major hotels in development in the area after plans by a South African group to invest in the area evaporated earlier this year. One person with years of experience as a parent of a youth soccer player told EGN that typical two-day youth tournaments with one night of accommodations have 30 to 50 teams, with each team having about 15 players on their roster along with two or three coaches. Additionally, about 75-percent of tournament teams are out of the area of the hosting tournament. In this scenario, a medium-sized tournament with 40-teams could attract about 850 players, coaches, and family members and if about 75-percent were from out-of-the-area, there could be about 635 out-of-town visitors. Depending on the exact breakdown of parents per player, lets conservatively say three people per room, approximately 212 rooms would be needed. What if the tournament is much larger, longer than two days, and the ratio of people per room is smaller than the scenario shown above? Obviously this would require more rooms for the tournament's participants and their families. For the PVT soccer facility, that would not be a problem given its inventory of over 2,400 rooms. But what about Elk Grove? If Elk Grove achieves its goal of establishing itself as a world-class soccer tournament destination, would the city be able to handle the crush of a major soccer tournament in addition to other visitors who might be in the city? Currently, there are six hotels in the Elk Grove Tourism Marketing District with 574 rooms. In the scenario outlined above with 40 teams for an overnight tournament, the city would be able to handle the visitors with its existing inventory of rooms. What if the tournament was larger, or the theorized ratio of the guest-per room was lower by a third? Obviously there would be greater demand for rooms, and given the lack of quality accommodations immediately outside of the Elk Grove city limits, participants might be forced to stay in Sacramento, Galt or Lodi hotels. 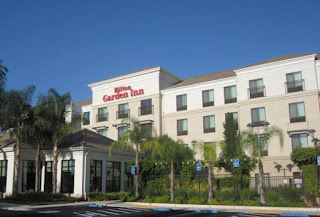 While having a tight supply of rooms would be beneficial to the hotel operators as they could demand higher prices, it would deprive the city of room taxes, and more importantly, put Elk Grove at a competitive disadvantage to the Roseville complex when vying for the larger more lucrative tournaments. With its abundance of rooms, probably at a lower cost given the supply compared to Elk Grove, along with the Thunder Valley Casino for adult entertainment, the Roseville Galleria, and more dining options, the PVT already has a major advantage in luring those lucrative out of town tournaments to their facility. If the city seeks to issue bonds to finance the facility, underwriters will certainly note Elk Grove's competitive disadvantage compared to the PVT, making the investment riskier for bondholders and demand higher interest rates. According to Elk Grove Economic Development Director Darrell Doan, the city is currently developing a comprehensive visitation and tourism marketing plan, in partnership with Visit Elk Grove. "As part of that effort, we are evaluating current hotel demand, and projecting future demand as a result of forthcoming marketing efforts and projects such as the regional sports complex," Doan said. "The plan will identify strategies to first bring current hotels to full occupancy, and then identify suitable locations and hotel brands that can succeed in Elk Grove to absorb future demand." Given the jump the PVT has in launching its soccer facility, one of the missing links in Elk Grove's pursuit of a world-class soccer tournament facility is its lack of quality hotel rooms and entertainment amenities. Unless the city immediately addresses and resolves these deficiencies, Elk Grove's soccer facility is already at a serious competitive disadvantage when it opens, whenever that might be. As much as room tax is preferred because it passes the tax burden on to "non-residents" who largely make the bond payment, I'm afraid Elk Grove is going to have to rely on the promise of added sales tax revenue to help float this bond. This was the justification the city used to subsidize the state offices. Of course this promised revenue by increased spending from soccer parents is impossible for residents to track, quantify, or otherwise evaluate--so the council will keep using that line of justification. While the bond underwriters are experts at detecting smoke and mirrors, the city's general fund is ultimately the collateral being used for the revenue bonds, so this revenue promise is largely for our local political consumption. New hotels may eventually come online in the future, but make no mistake about it, the soccer dream will be financed by borrowed money, and operated/maintained with reserve funds and Mello-Roos assessments for many years to come. Won't have more hotel rooms being built because there are no companies relocating to Elk Grove. The "laser focus" on building thousands of houses and high density low income housing projects will NOT result in hotel development in Elk Grove. Elk Grove dug its own grave. No rooms for the soccer tournaments. Based on the comments from Darrel Doan, I suspect the city is in a quandary with regards to hotel development. As written, Doan says "The plan will identify strategies to first bring current hotels to full occupancy, and then identify suitable locations and hotel brands that can succeed in Elk Grove to absorb future demand." Full occupancy = Doan saying that the city wants to first bring current hotels to full occupancy and keep them in business. In other words, they are struggling. If I am not mistaken, the Holiday Inn on the west side was another branded hotel and was switched after the original one went bankrupt. The hotels here must struggling so it is unlikely the city will be able to attract more operators until Elk Grove can prove to be profitable place to operate. That is not likely to happen until the soccer facility is completed or some major private sector employer locates in Elk Grove. On another note, aside from the Mall, where are they going to build high quality lodging? I have a lot of faith in our elected leaders and their expertise in private sector economics and market feasibility. I doubt that hotels would come to Elk Grove based on speculation of some hugh weekend crowds attending soccer games. Didn't take long for the city to place Doan on some dead-end job...fill those hotel rooms. Using "Visit Elk Grove", what a joke. His time might be better spent trying to bring those 25,000 high paying jobs to Elk Grove the Mayor talks about. That would be our best bet in filling those hotel rooms. To anon 22:58, they may have placed Doan "on some dead-end job", but make no mistake about it-he is their designated fall-guy if it becomes politically expedient to blame someone on the lack of economic development in Elk Grove. Can you say Randy Starbuck? They mayor and Elk Grove should stick to what it knows best, to being the "Food truck capital of the WORLD!" The mayor keeps talking about Elk Grove having 6,000 soccer players. Well guess what none of those families will be staying in area hotels. They'll be staying at home in their own beds. So who is this for? Local soccer players or out of town soccer players making us a destination city? I feel like it's a mixed message. You naysayers, just wait until they get those 60' billboards up with the plastic elk on top and this city will become total gridlock with visitors rushing to fill up those hotels and spend their dollars shopping at all our discount stores and having a BigMac. I trust our Mayor to know how to make this happen. Lordy I hope he doesn't decide to run for Sacto Mayor next year now that KJ has decided not to. Would be our loss and Sactos gain. It is interesting to note that we haven’t had an update from Elk Grove’s new Economic Development Director Darrell Doan at an Elk Grove City Council meeting. Pat Hume publicly told former Economic Development Director Randy Starbuck that he might be a “duck,” you know, “gliding above water, but those little feet are working hard paddling under the water.” Hume also told Starbuck he needed to do a better job of promoting himself. Starbuck gave quarterly reports, but so far nothing from Doan. Is Doan also a “duck?” We wouldn’t know since we haven’t heard from him – other than this quote to Elk Grove News. The Citizen has an article in todays paper titled, "Elk Grove Chamber, city to form a vision for 2025" Spoke of Chamber Board Chair Steven Ladd, Chamber President Angi Perry, and EDC Board Chair Ken Allred. Said Ladd, on behalf of Perry and Allred, spoke at an Elk Grove City Council meeting last month. Guess Doan got lost in the shuffle....probably filling up those empty hotel rooms. EG Citizen: "The Elk Grove Chamber of Commerce and the Elk Grove Economic Development Corporation (EDC) will present Elk Grove 2025: An Economic Visioning Symposium on Oct. 30. This symposium is scheduled for 8:30-11:30 a.m. followed by a luncheon that runs until 1:30 p.m. at The Falls Event Center on Elk Grove Boulevard. Translated: What's good for business is good for all Elk Grove citizens. The public need not attend, that's why the meeting is on a workday morning.